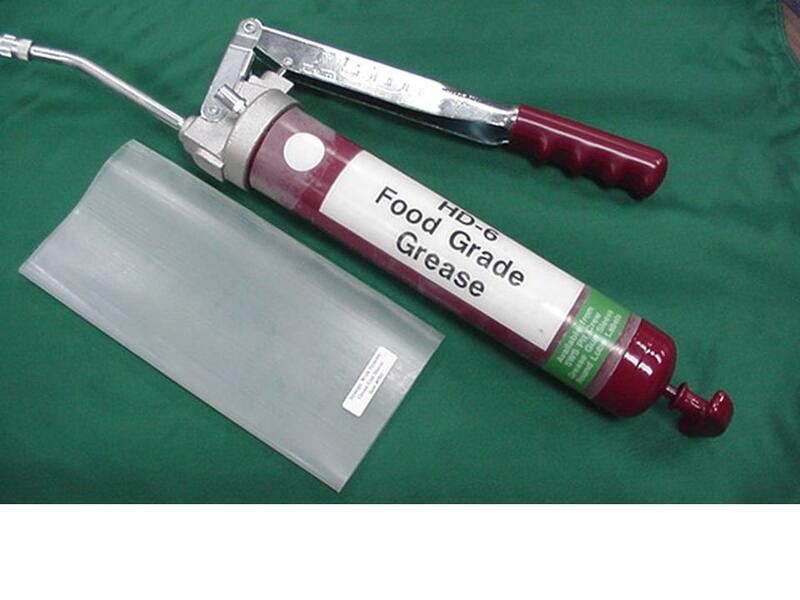 Label your grease gun with the colored lube labels (with or without overlay) and the type of grease. Then use these harsh-condition clear shrink-tube sleeves to protect your labeling and provide an easy-to-grip surface. These sleeves are made of polyolefin and are 10 inches long to fit cartridge grease guns. They resist chemicals, oils, sunlight, moisture, and fungus and have excellent flame-retardant, electrical and physical properties. High-temp heat gun required (>121º C) to shrink. Click here to download our procedure for using the grease gun sleeves.